The Last Giant is the sole surviving Giant of the Cardinal Tower siege. 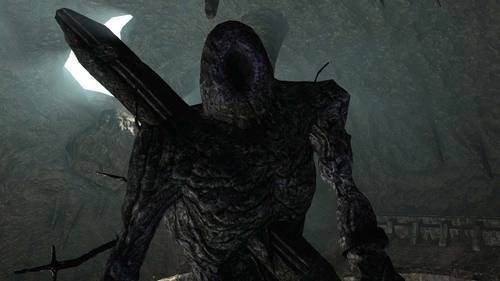 He is the beaten, broken remains of the Giant Lord who had once brought wrack and ruin to the entire kingdom of Drangleic. The Giants were eventually defeated by an unnamed hero, but alas, victory came all too late as Drangleic had already become a pile of rubble. After being felled by an unknown warrior, the Giant Lord’s remains were dragged beneath the stronghold, where he was sealed away. Many seasons had come and gone, and the Giant prepared for his final rest. When the Giants fall they grow into great trees. Death is not the end for them, for anything that has ever once lived remains a part of a great cycle of regeneration. But, the Giant Lord’s soul remained magnificent, testimony to his former strength. Perhaps, the Giants’ resentment for the King could not be pacified in death, only emboldened? A singular rage burns within their hearts and their wills of steel cannot allow them to forgive the misdeeds of King Vendrick. Perhaps it is this burning hatred that allowed the Giant Lord to remain for such a long time after his defeat? Perhaps it was targeted at the warrior who defeated him. When we stand before him, the Giant Lord recognizes us. His rage becomes uncontrollable and he is able to break free of his restraints. This final battle truly displays the determination of the race that once ruined Drangleic, as he will tear his own arm off if it will give him an advantage over you. More likely, his endurance was simply due to the fact that his soul was still too powerful to become part of the cycle of regeneration, just yet. "The Giants are no ordinary barbarians. A singular rage burns within their hearts. My father, and his father, both fought the Giants on this very land. The Giants have wills of steel. They cannot find it within themselves… To forgive the misdeeds of our lord." unnamed hero, but alas, victory came all too late. The fact that it was "too late" could very well be because the Giants had already gained what they came for, or more simply it may refer to the fact that Drangleic was a pile of rubble by the time the Giant Lord was defeated. 1. 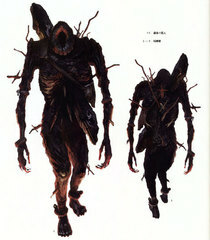 The Last Giant is of a similar stature and appearance to the Giant Lord. and the giant prepared for his final rest. testimony to his former strength. 3. It is very likely that the Giant recognises you in its intro video, as the one that toppled it and would explain why it attacks you. It would also explain why it attacks you with such ferocity, as it tears of its own arm to try and clobber you. 1. The Giant Lord fades into nothing when you destroy it. 2. You fight the Giant Lord in a different place to where you fight the Last Giant (though admittedly it could have fallen through the floor and there is evidence for this in the area after the Pursuer battle, as well as the rubble in the room you fight the Last Giant). 3. The Last Giant is pierced by what appears to be part of a statue sword from above. It is unclear, however, unless it was pierced by this after we defeated it (perhaps when it fell through the floor), then there is no explanation for its presence.